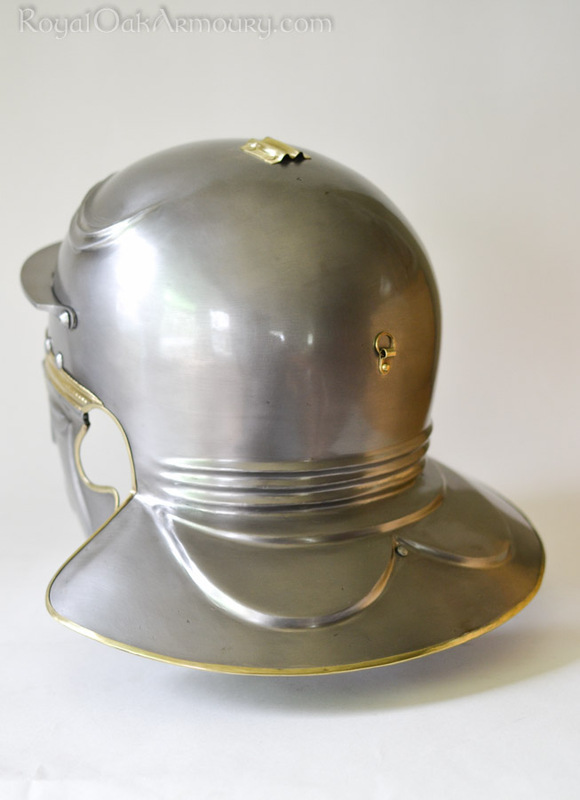 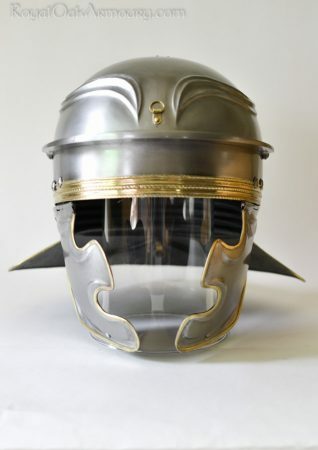 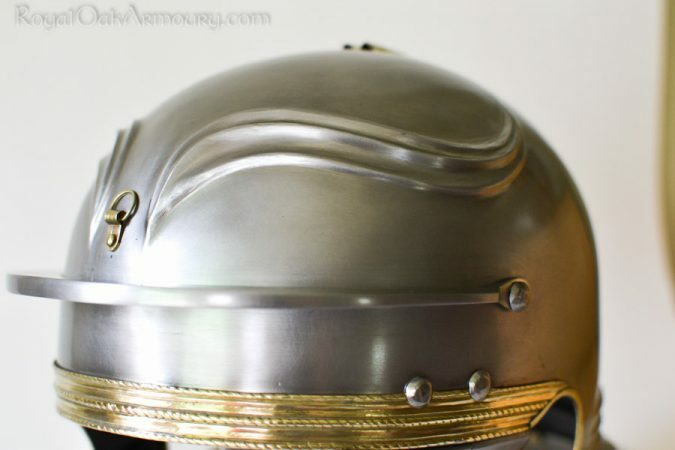 This helmet is based on a restored Weisenau-type in the Archaeological Museum, Zagreb, designated “Imperial Gallic C” by Robinson. 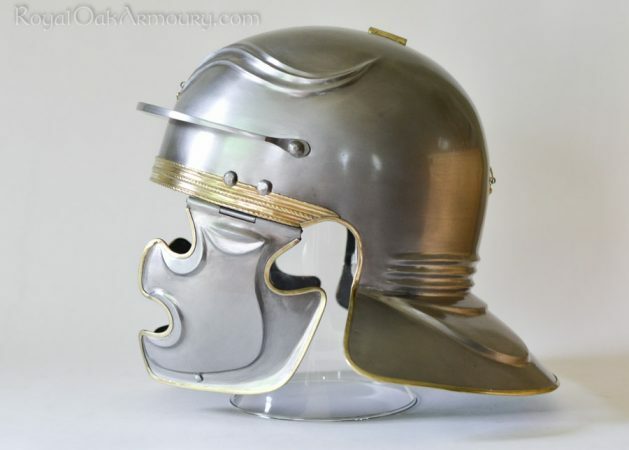 Some notable features include narrow copper-alloy trim, no ear guards, bold ledges and “eyebrows” and a deep neck guard. In place of the missing brow reinforcement we have added one based on a near-contemporary Gallic A. 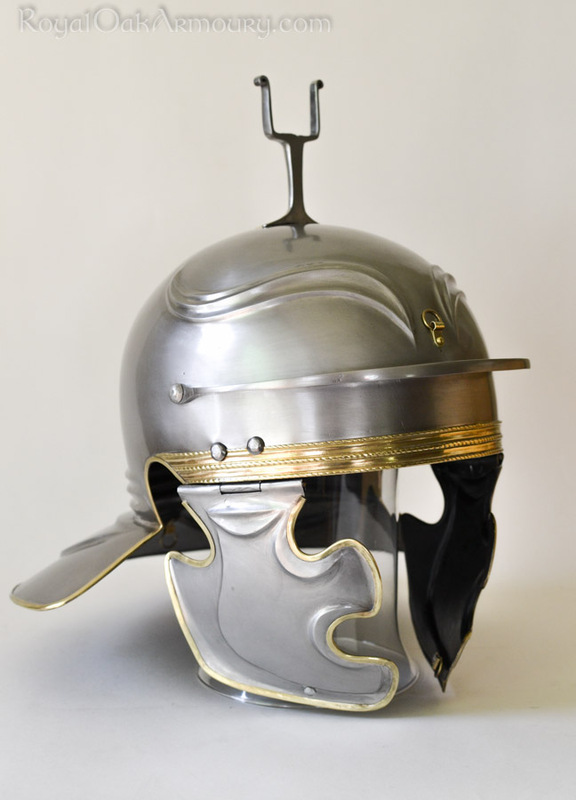 The copper-alloy band at the brow is based on a common pattern that most closely matched the small fragment still on the original helmet. 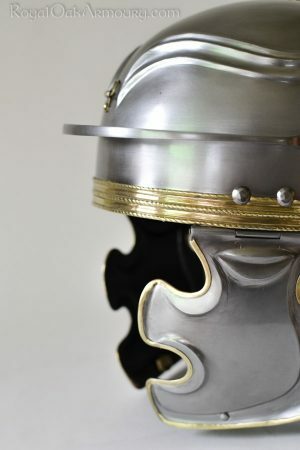 Available either welded or raised (as shown – add $400).